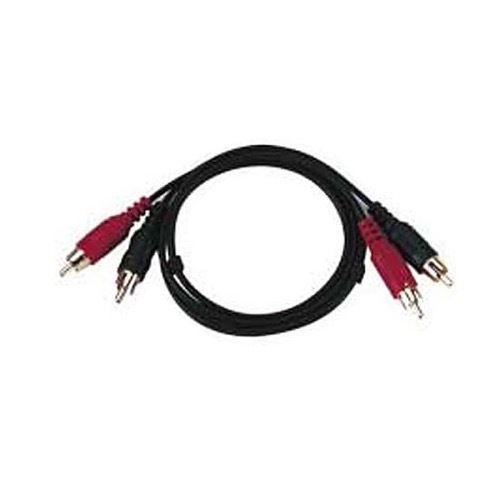 3 ft stereo dual RCA to dual RCA patch cord. Color coded patch cord, 4 heads. Connectors: dual RCA audio male to dual RCA audio male. Links the composite RCA-type audio signal from your VCR, camcorder, or any audio-based component with RCA-type connectors to your TV monitor or receiver. Ultra flexible jacket for easy installation. Short length is ideal for stacked equipment installations. Cable colors may vary.